Astronomy clubs across the USA have successfully used the following techniques to address some common membership issues to re-energize their clubs! The following videos and related worksheets highlight helpful methods for attracting new members, retaining members, and involving members as volunteers. If your club is experiencing any of these issues, you can watch the videos below with your board and club members. Then, review the followup tips to help reinvigorate your club. Do new people visit your club meeting once and never return? Watch this video to see a few ways your club can help make your new visitors feel welcome. 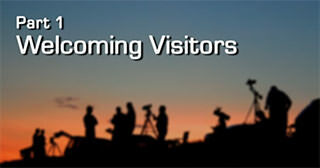 Then check out the Welcoming Visitors Tip Sheet for more info on some great ways to introduce your club to curious visitors. Do new members join, but then don’t renew their membership? 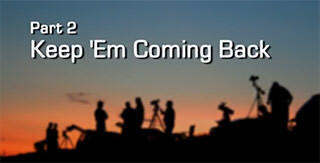 Watch this video to discover some ways to keep folks coming back to your club's events! Afterwards you can refer to the Keep 'Em Coming Back Tip Sheet for a deeper dive into how to convert your visitors into club members. Have trouble getting members to volunteer for club positions? This video presents are some ways you can help cultivate a growing body of dedicated and enthusiastic volunteers. Then read through the Cultivating Volunteers Tip Sheet to flesh out a plan to grow your club's volunteers into a healthy pool of enthusiastic outreachers and club officers. 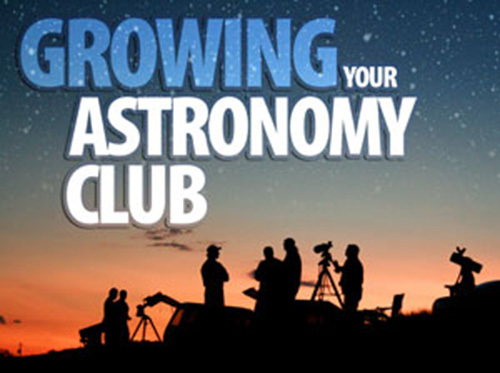 Research shows that too many astronomy clubs are shrinking in membership as well as growing older and not successfully recruiting new and younger members. See how healthy, vibrant clubs attract and maintain a stream of new members and cultivate volunteers with these videos. This is the complete set of videos in one playlist.